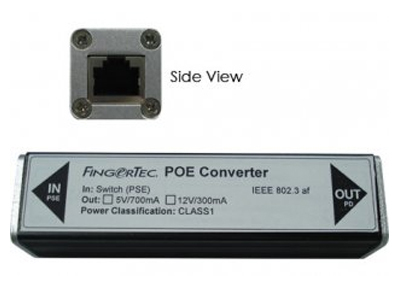 The POE device is recommend to use if power source is not available for installation of FingerTec® models. You can plug a RJ45 cable (TCP/IP cable) into the POE device to power on the FingerTec® terminal and to download data from terminal. Easily connect any FingerTec devices that is equipped with RS232 serial ports through a USB port. Modern computers are often not equipped with RS232 ports, making the use of legacy peripherals and communication devices more difficult. The USB to Serial Converter, with its serial RS232 port, easily expands a single USB 1.1 port to connect and supportFingerTec devices. Gold-plated contacts and rugged construction combine to offer a reliable connection between the computer and serial peripherals for consistent, trouble-free performance. Windows compatibility with Plug and Play installation and hot-swappability help provide seamless use without inconvenient and frustrating device conflicts. Push the button from inside to open door. This Drop bolt to applies to a single leaf swinging door, for example wooden doors, glass door, grill and gate. This is a fail-safe type lock. 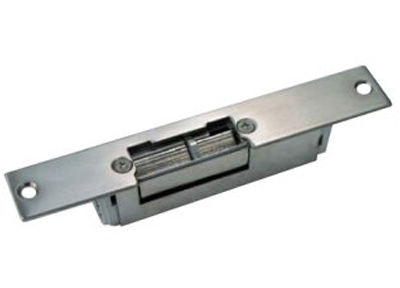 Door strike to apply to single leaf swinging door aluminium door, steel door, wooden or brass Door. The door strike cans feedback to indicate the door locking status. This is a fail-secure type lock. Door strike to apply to single leaf swinging door aluminium door, steel door, wooden or brass Door. The door strike cans feedback to indicate the door locking status. This is a fail-safe type lock. To power on entire system during power failure for a minimum of 4 hours. To release door from inside via electromagnetic mechanism. Designed with both Normally Close (NC) and Normally Open (NO) circuit. To power on FingerTec® readers with DC12v3A. To charge DC12V rechargeable backup battery and powered the entire system during power failure..
*Users can only choose to verify at the terminals using the fingerprint or card method after installing the enclosure. This is because the keypad area will be blocked by the enclosure, and users will not be able to press any of the keypad buttons for the purpose of verification. *Kindly note that FingerTec enclosures are for additional protection against vandalisme only and that they are not designed to be weatherproof and/or waterproof. To power on FingerTec® readers with DC5V 3A for time attendance purpose. Most of FingerTec® terminals come with USB flash disk port to ease data transfer via USB flash disk. The disk can be used to download and upload users, and download transaction logs. For installation without communication wiring, this feature is advantageous and it also can work in case of connection failure.